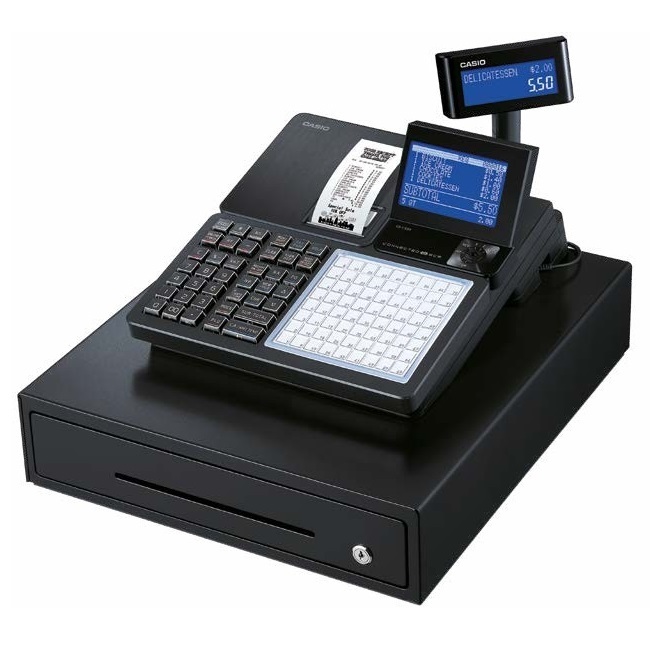 If you are looking for a premium line up of Cash Registers & POS Systems for Sale, Casio is the brand to buy. All new Casio Cash Registers come with a 2 Year Warranty when you register your product online. The Casio Cash Register range consists of Basic, Mid-Range & Bluetooth Cash Registers through to Android Platform POS Systems with Free Cloud POS Back Office Software. 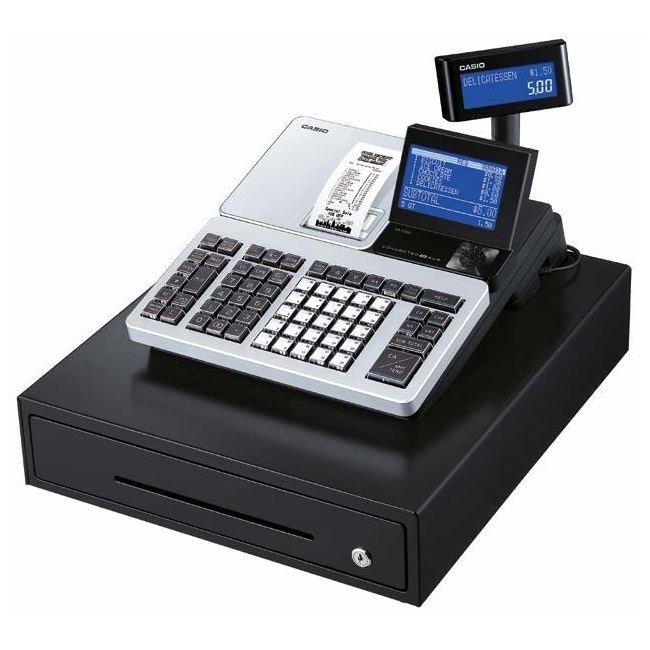 Casio has the most advanced technology when it comes with their ECR's (Electronics Cash Registers) and POS Systems. All new Casio ECR's come with inbuilt thermal receipt printers even from the most basic allowing you to put your business details on the receipt. As you move up to the SE Series, you have multi-line operator displays, 2 Line LCD Customers Display and SD Card functionality. The latest of the range is the Casio SR Series which have Bluetooth® and capable of connecting to a Smartphone to program and collect sales data. This is the next-generation of Cash Register on the market and the first in the world with this technology for an ECR. The Casio Touch Screens are built with their own hardware yet utilising the Android platform to provide a modern aspect of Point of Sale. They still operate with the reliability of a Cash Register or embedded System but allow third party development apps and Free back office software via Casio Cloud POS. The new restaurant Software that Casio has developed allow you to have hand held ordering terminals which are perfect for Cafe's, Restaurants and even fine dining. As this is a proprietary system, there are no ongoing costs for the hardware or software unlike many other iPad POS System or SaaS (software as a service). 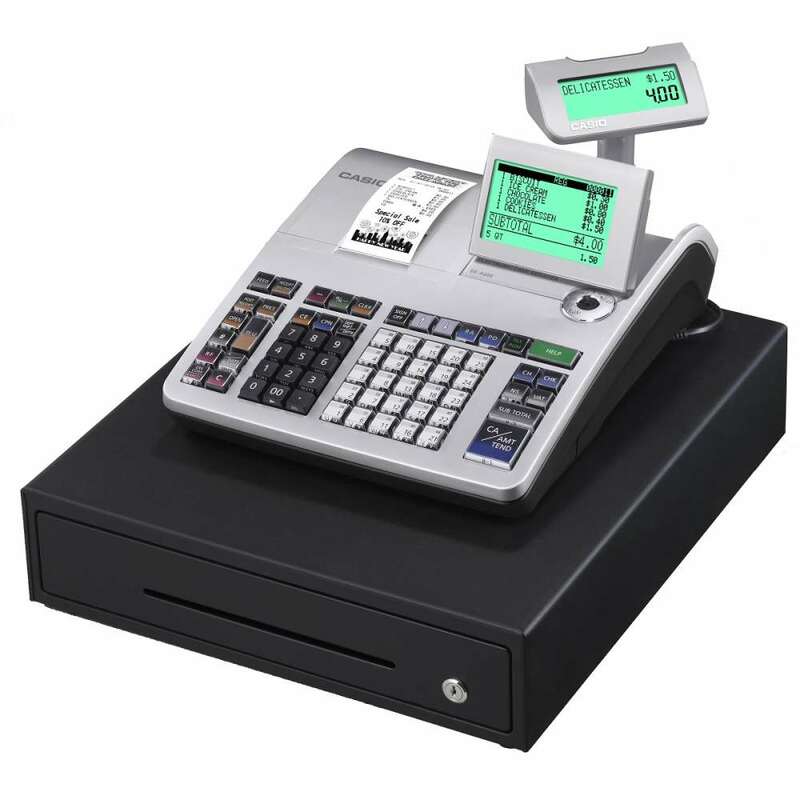 Cash Register Warehouse is one of the largest Casio dealers in Australia and has been supplying Casio Cash Registers & POS Systems since 2006 including models from Basic to Touch Screen. We have an understanding of their programming and offer premium after sales support. We don't just ship a box, we provide a service.